The elegant Hamanassett Bed & Breakfast offers impeccable hospitality and personalized service in the beautiful Brandywine Valley, in Chester Heights, Pennsylvania. We are just a 30-minute drive from Amish Country, downtown Philadelphia, and Wilmington, Delaware. 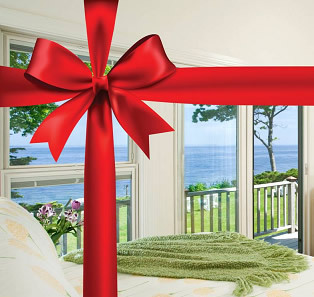 We offer 7 romantic rooms & suites in the inn, as well as two private, pet-friendly cottages with fenced-in yards. We are famous for our elaborate breakfasts, served by candlelight on antique silver, crystal, and china in our magnificent dining room. 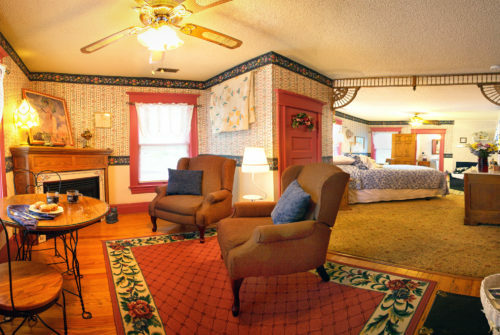 Enjoy country elegance in our luxuriously appointed guest rooms and suites. Rooms include plush bedding and stately decor. For more privacy, guests can stay in one of our two cottages featuring fully-stocked kitchens and washer/dryer, and overlooking the meadows. 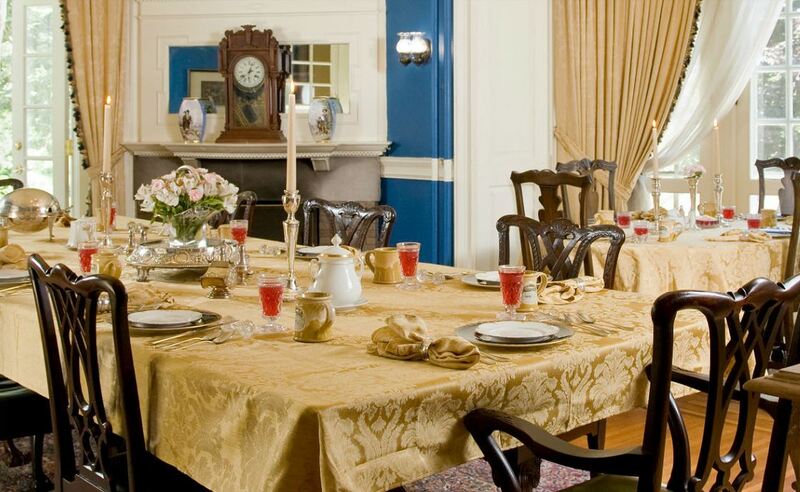 Each morning enjoy a splendid breakfast served on fine china. 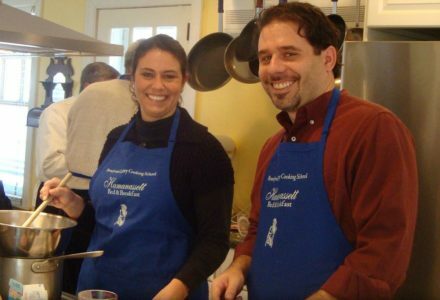 We are the only bed and breakfast in the Brandywine Valley which offers hands-on cooking classes taught by professional chefs. 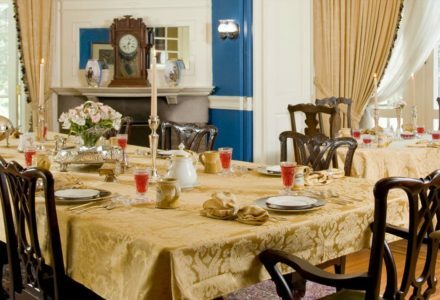 We are only minutes from all the Brandywine Valley attractions including Longwood Gardens, the Brandywine River Museum, Winterthur, Nemours, Hagley, and the wineries of the Brandywine Valley Wine Trail. We are not far from downtown Philadelphia and its major universities, and if you like bird watching, we are only 20 minutes from the Heinz National Wildlife Refuge. Also nearby are Ridley Creek State Park, Tyler Arboreum, and Scott Arboreum. Children Policies: Children under 10 can be accommodated in the Carriage House and the Meadow Cottage. Pet Policies: Dogs can be accommodated in the Carriage House, Meadow Cottage and one room in the main house. There is an additional charge of $25.00 per dog per night plus a fully refundable security deposit. Both cottages have small fenced in yards. Sorry, we can't accept cats due to allergies. Smoking Policies: Front porch and terrace.